Use the Deactivation Tool to track chargebacks from the Service Provider. Specify the allowable chargeback period on the Service Plan Term. 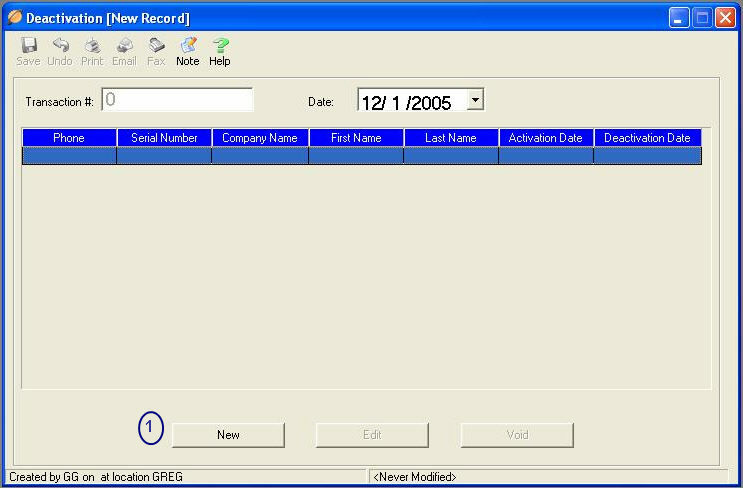 To access Terms Master Files from the menu bar of the main TeleTracker Online screen, click Transactions, then Deactivation. To create a new Deactivation transaction, click on New button located on the toolbar. To open an existing Deactivation, select the desired Deactivation transaction from the Transaction Viewer and click the Open button. Individual deactivations will be stored within a Deactivation Transaction. One or many deactivations can be stored in a single transaction. (1) To add a deactivation click New. 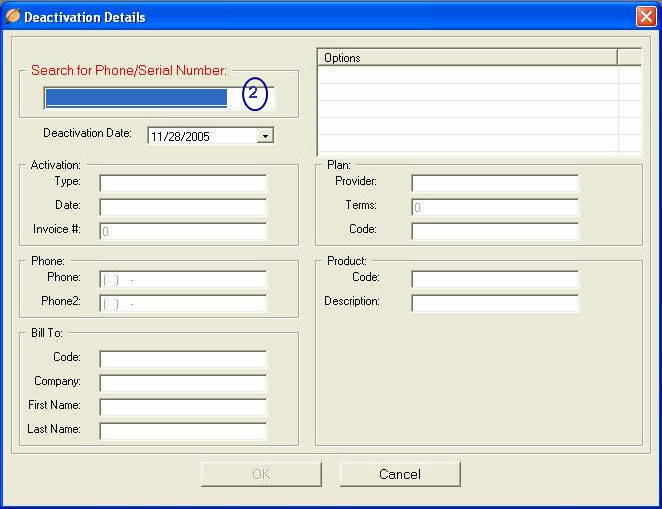 (2) Search for the Activation by entering the Activated Phone # or Serial #. 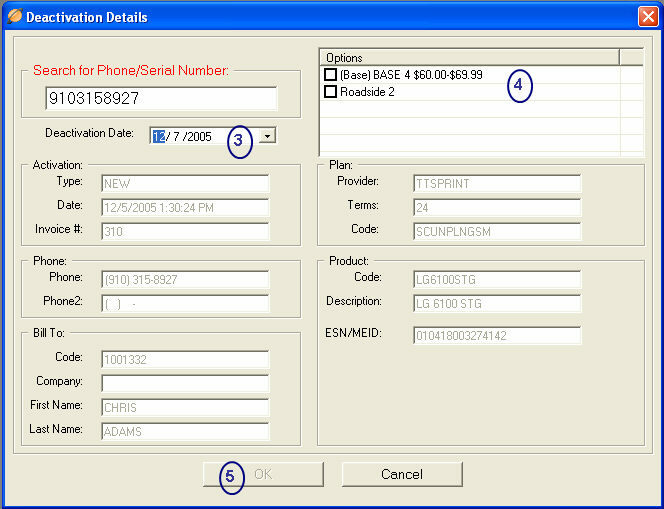 In most cases the serial # is identified by the ESN or IMEI #. Press the Enter or TAB keys to search for the activation. (3) When the activation is located, assign the proper Deactivation Date. (4) Place a checkmark next to the Base and/or Option(s) to be deactivated. The base option will be the top entry and is identified with a (Base) descriptor. When the base option is checked, all subsequent options will also automatically check. (5) When the necessary options have been checked to be deactivated, click OK. If necessary, begin at (1) for additional deactivations. when all deactivations have been entered.